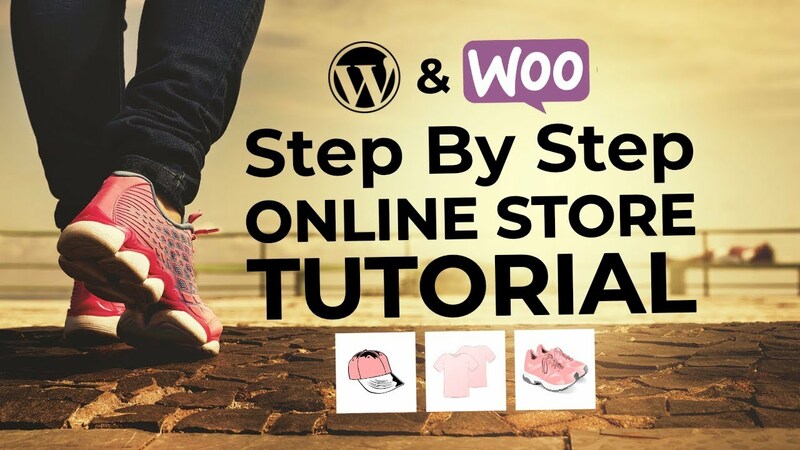 WordPress is one of those platforms where you can do almost anything. All it takes is spending a couple of minutes in the admin panel, and you can make your site look just the way you want. The same thing goes for custom menus. Creating and managing them is really easy, and anyone can do it. It’s very important to have intuitive and well-organized menus that ease your users’ way to find what they need on your site. Organize and structure your categories thoroughly because a menu should work like a map for your website. It should guide your visitors to the content they’re looking for. To create custom menus is actually really simple. 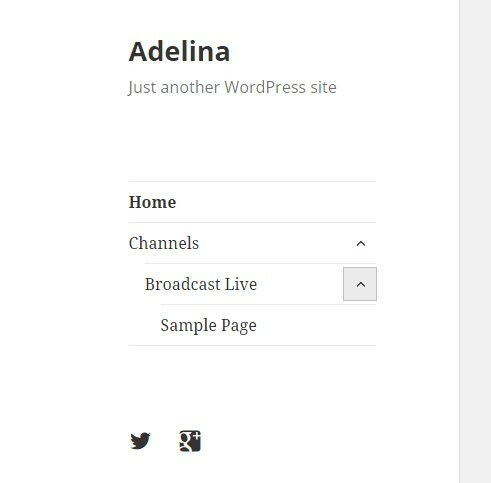 I used Twenty Fifteen, WordPress’ default theme, to show you all the steps you need to take in order to build your own custom menus. 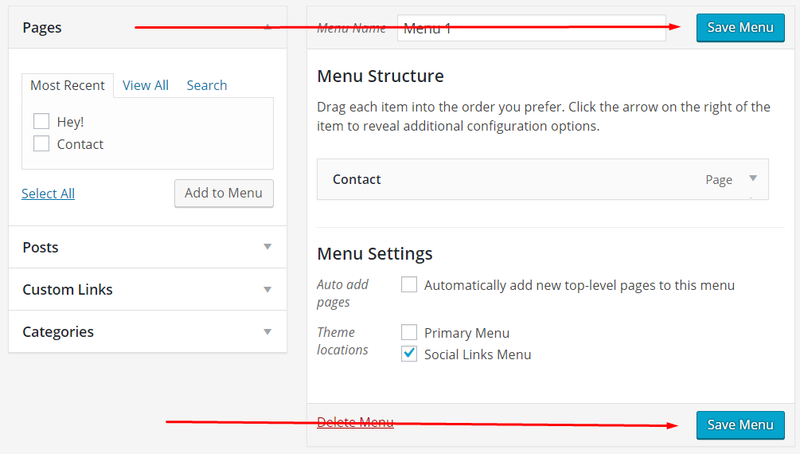 To customize the default menu of your website, you have to enter the WordPress dashboard, click on Appearance and then on Menus. 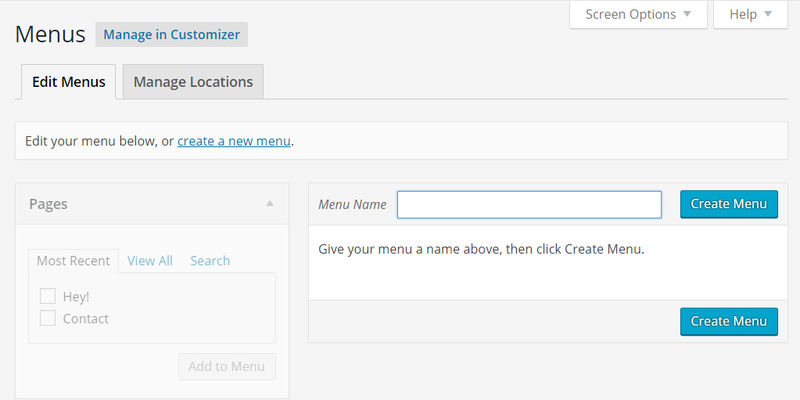 The first thing you need to do is to give the menu a name, and then click the Create Menu button. After creating it, you may start adding your menu items. 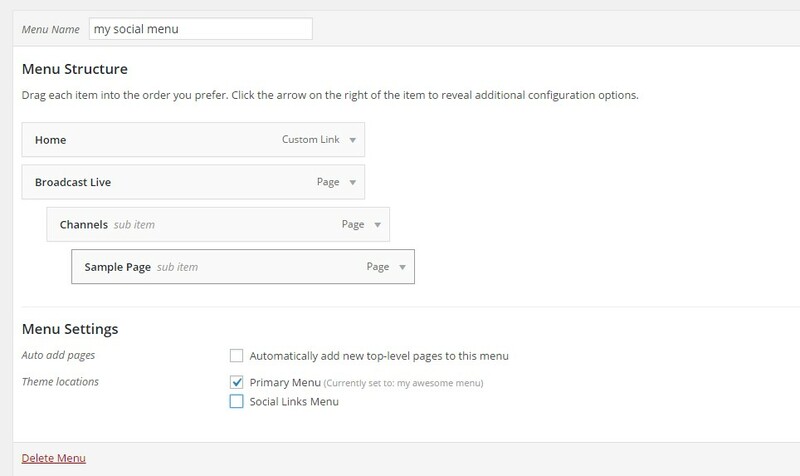 All your website’s categories, posts, and pages are gathered in the left column, and from there, you can simply add them to your custom menus in just a few clicks. First of all, you need to click on Pages and View All. 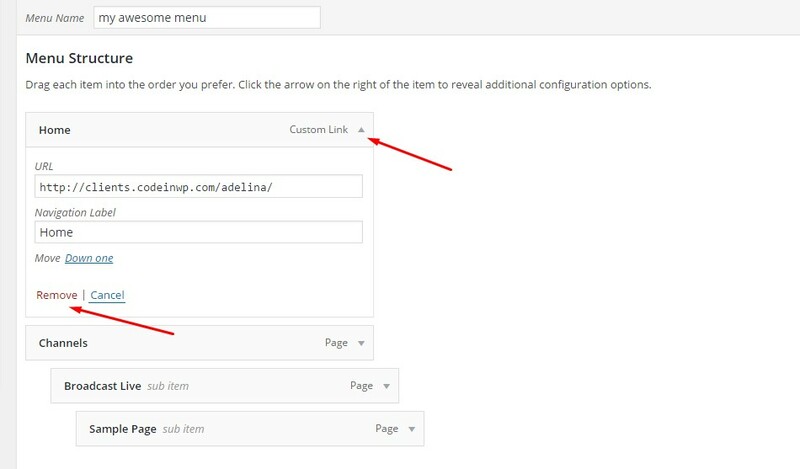 Select all the pages that you want to appear in your menu (use the checkboxes next to the pages’ names). I selected all of them for the test, but you should use only the ones you need. After selecting the menu items, you might want to switch their order. All you have to do is drag and drop them in the desired location. This is how you’re going to organize your custom menus. Now that you have the custom menu ready, it’s time to choose where you want it to appear. But there’s an important thing to know here. Not all the WordPress themes support multiple menus. The default number of menus is two: primary and secondary (in Twenty Fifteen’s case the second one is called Social Links Menu). Then, depending on your theme’s customization options, you can use more. For instance, some themes let you create footer and above-header menus apart from the default ones. The secondary menu can appear in many different places depending on your theme’s structure and the overall idea that the designer had for the theme. There are no set-in-stone rules here, so you just have to experiment and always see how your menus look once you place them in a given location. The footer menu will obviously go in the footer, and it can contain items like “Contact,” “About us,” or any other thing that can be found in the primary menu too. So, it’s your choice how many menus you use. 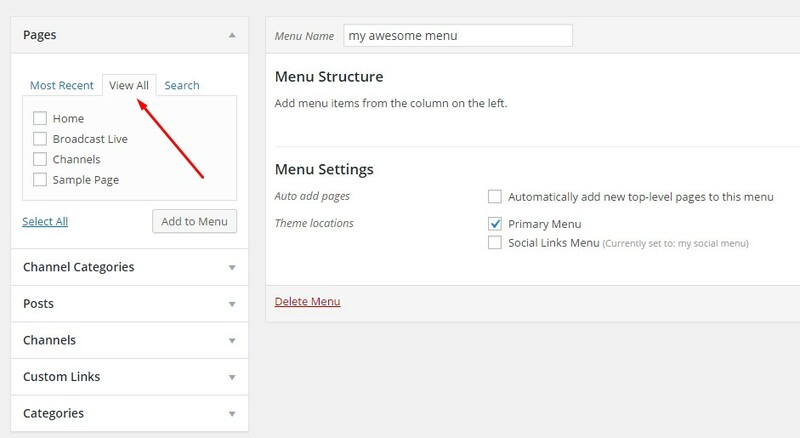 If you’re planning to use more than two menus, check the theme’s settings beforehand. To delete items from the custom menu, click on each page’s small arrow to the right. You’ll see a few details about that page and the Remove button down below. Click on it, and that item will be deleted. Do the same to rename the menu items. Click on their current name and change it. Finally, click on one of the two Save Menu blue buttons available. This will effectively save all the changes you’ve made. All you need to do is click on Custom Links in the left column, and at this point you can add whatever link you want in your menu. Each link needs an URL (its unique web address), and the Link Text (the name of the link in the menu). Click Add to Menu, and you’re done. Those custom links are useful for those cases where you want to link to a page that was not listed in the left column, like a whole external website, for example. 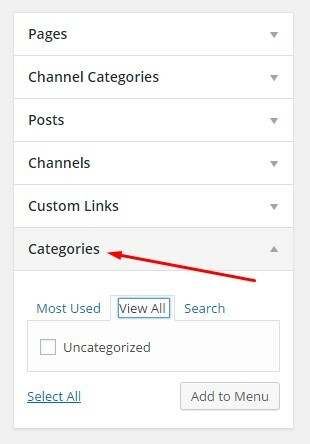 Want to add post categories to your menu as well? Click on the Categories tab in the same left column, and select the ones that should appear in your menu. Proceed in the same way you did with the other items. 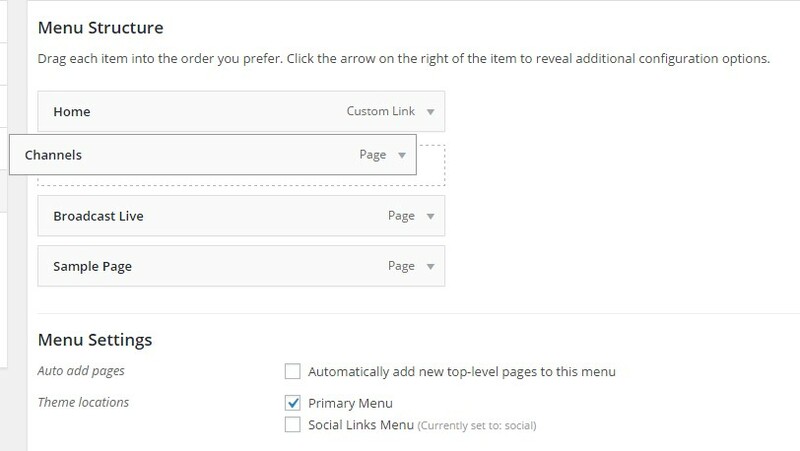 To create a menu for your social accounts is even easier than creating a regular one. 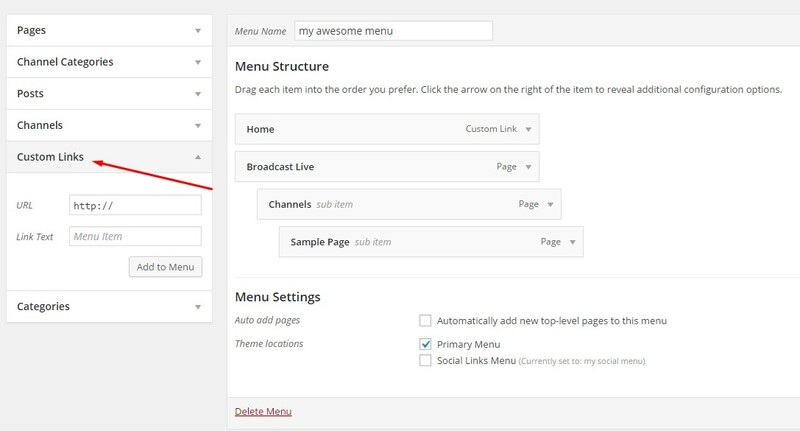 Click the “create a new menu” link, input the name, and click Create Menu. The next step is to check the Social Links Menu box at the bottom, and use the Custom Links tab to add your social media links. For example, you can input “Twitter” as the Link Text and paste in your Twitter account’s address in the URL field. Then click on Add to Menu, and your Twitter account will be added to the social menu. Don’t forget to always click on Save Menu before previewing or leaving the page. Was this tutorial useful to you? 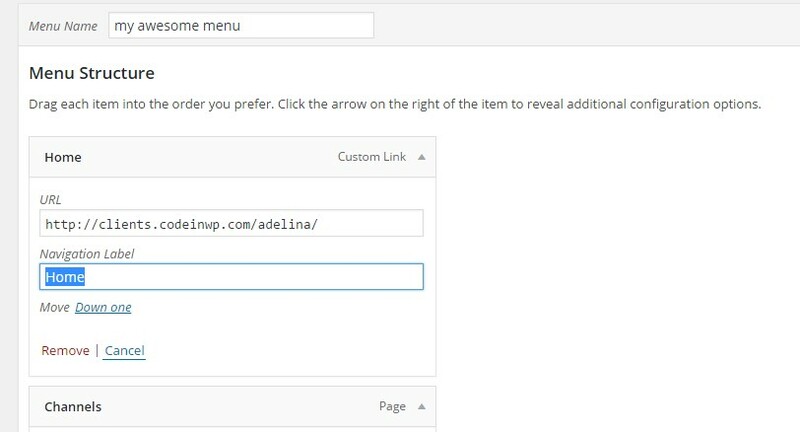 Let us know how was your first experience with creating a custom menu in WordPress.